Fiction, poetry, new media, memoirs and other forms of non-fiction: whether as reading and writing, these aesthetic experiences are ways of both understanding and inventing cultures and identities, of grasping the emotional and intellectual histories of societies, of exploring your own creativity and potentials. The English Department at Vanderbilt trains tomorrow’s leaders to enter a variety of fields. Our graduates have gone on to work in medicine, law, businesses and entrepeuneurship of many sorts, and journalism, as well as to pursue advanced degrees in either creative writing or English literature. Whatever field they eventually pursue, our majors enter their careers with carefully honed skills in analytic reading, writing, and argumentation. They possess a solid education in the English literary tradition. In addition, the department’s increasingly interdisciplinary and transnational focus enables majors to become conversant with non-western literary texts and traditions and literary theory. Beyond teaching a body of literary works, the department’s courses aim to give our students sophisticated skills in literary and cultural analysis—skills that equip them well for a lifetime of ongoing education. To hear the stories of some of our alumni, see the Career Blog on the departmental website. Offering three distinctive programs, the English Department’s newly designed major encourages individual students, in consultation with faculty advisers, to personalize their studies while still acquiring the breadth of knowledge and skills of the traditional English major. Our curriculum provides extensive coursework in British, American, and world literatures; in literary theory and new media; and in creative writing, including fiction, poetry, and non-fiction, with opportunities for playwriting and scriptwriting workshops from the Theatre and Cinema and Media Arts programs. Our diverse classes reflect the interests of students and faculty in the ever-expanding areas of literary studies. The English Department teaches an array of courses designed for majors, minors, and students from across the university. We offer First-Year Writing Seminars organized around such topics as “Women Poets in America,” “Existential Fictions,” “The Poetics of Science,” “From Robert Frost to Rite Dove: Storytelling Verse in American Poetry,” and “Monsters in Fiction.” Majors and non-majors alike choose from survey courses focused on various literary traditions as well as seminars devoted to particular literary problems, writers, or movements. Our recent courses include ”Law and Literature,” “Shakespeare and Film,” “African American Women Writers,” “Literature of the Caribbean,” “The Art of Blogging,” “Literature, History, Trauma,” “Online Games: Literature, New Media, and Narrative,” “Romanticism: The Passions and the Horrors,” “Ovid and the English Renaissance,” “The Politics of Identity in Latino/Latina Literature,” “American Literature and Consumer Culture,” and “Genetics in Literature, Film, and Media.” We also offer a wide range of creative writing workshops for all levels taught by award-winning authors. We encourage students to take elective classes both in and outside the department—in other languages, philosophy, or fine arts, for example—to complement their course of study. Many students combine their English major with other majors or minors, and our advisors help students craft their over-all undergraduate career to suit their goals. Whether specializing in Literary Studies (our Program I) or Creative Writing (Program II), students are encouraged to explore the full range of their critical and creative interests. Programs I and II each require 30 hours of coursework, while students opting for Program III, Specialized Critical Studies, design a 36-hour program of study in consultation with their advisers, that focuses 18 hours of coursework around a particular period (e.g., 19thcentury America or the Renaissance), genre or movement (the novel, romanticism), aspect of intellectual history (law and literature, literary theory), or other area of special interest. The English Department encourages its students to participate in study-abroad programs that enhance their exploration of literature and culture with overseas study and travel. Our majors regularly study in Scotland, Australia, China, and other nations; whether it is for a semester, summer, or year, students make good progress toward their degrees from wherever in the world they choose to study. The English Department’s Gertrude Vanderbilt and Harold S. Vanderbilt Visiting Writers Series brings writers to campus every year to give public readings from their work and to meet with students. Renown writers as wide-ranging as Paul Muldoon and Ocean Vuong, Julian Barnes and Meg Wolitzer, Gary Shteyngart and Natasha Trethewey have been guests. 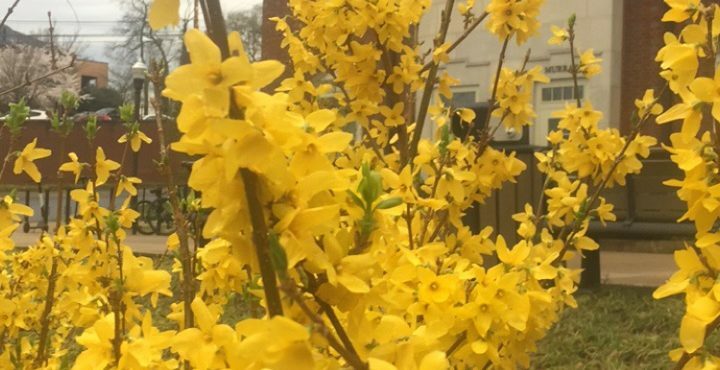 In addition, each spring, visiting writers such as Joy Castro and Randall Kenan add special non-fiction workshops to our offerings. 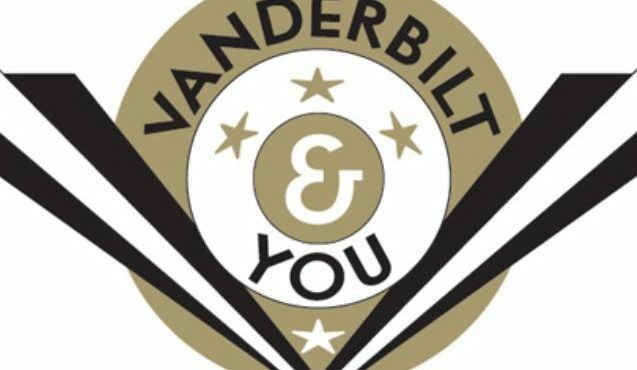 Students can apply for funding to present papers at undergraduate conferences around the country, and are invited to present their work at the annual Vanderbilt Undergraduate Symposium in April. Many English majors also write for and serve on the editorial boards of various campus publications, including the Vanderbilt Hustler, a bi-weekly newspaper; Vanderbilt Lives, an annual publication of undergraduate creative nonfiction; and the Vanderbilt Review, a distinguished collection of creative writing. The Department awards a number of prizes every year to recognize excellence in undergraduate achievement, including for contributions in poetry and short stories as well as in analytic essays and classroom achievement.